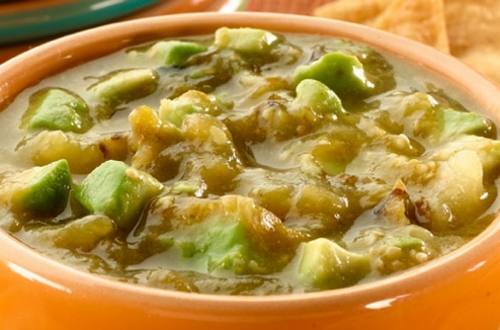 Our Avocado Tomatillo Salsa recipe makes for the perfect companion for tortilla chips. Packed with tomatillos, serrano chile, and avocados you’ll come back for chipful after chipful. 1 Combine all ingredients. Chill until ready to serve. Serve with tortilla chips.